A. 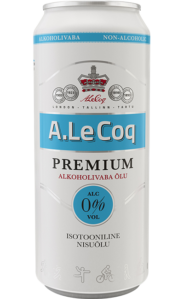 Le Coq & Co was founded in 1807 and at the start of the 20th century production was brought from London to Tartu, where the brewing of A. Le Coq Extra Double Stout began. This was a beer that in 1912 brought A. 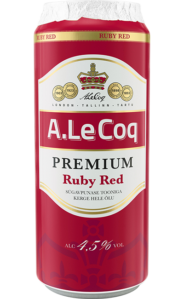 Le Coq the title of official court supplier to the Russian throne and was allegedly the favourite beer of Nicholas II of Russia. The tsar enjoyed eating oysters, which were served with a vinaigrette sauce made from Imperial Extra Double Stout. Now more than 100 years later we have decided to bring Imperial Stout onto the market once again. In the production of A. 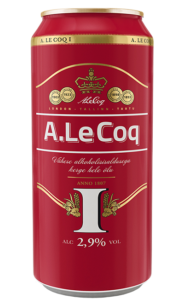 Le Coq Imperial Extra Double Stout we have endeavoured to follow the original recipe as closely as possible. 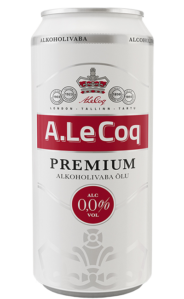 It is a rich, dark beer with a dense brown head, dominated by dark-roasted malt barley and, typical of beers of the era, a hint of oakiness with autumn berries and sherry. The bottle has its own original label design. water, barley malt, oat flakes, hops, hop extracts. Imperial Extra Double Stout – a royal stout with a long history.